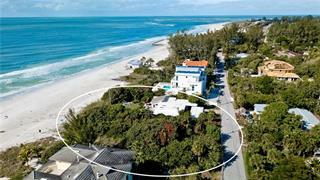 Offering 1.4 pristine acres and 110 feet on the aquamarine Gulf of Mexico, this is an unparalleled opportunity for development on Longboat Key. Reminiscent of old Florida, the park-like grounds provides a splendid mix of palm trees and... more. pines, marsh grasses, white sand, and inviting water. 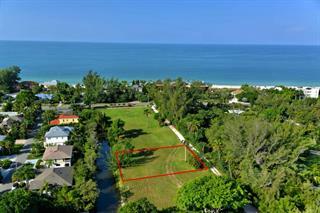 Four existing beach cottages exist on the parcel and can be used to create a magnificent family compound or removed for your private, seaside estate home. 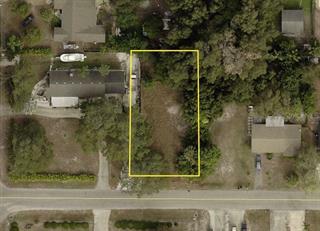 Endless possibilities are presented to the innovative buyer with a vision to develop a dream Florida property positioned to experience glorious sunsets over the sparkling Gulf. 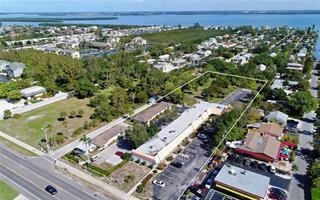 This property is set just a short drive to the renowned shopping, dining and cultural attractions of St Armands Circle, as well as the opera, ballet, theatres and artistic attractions of downtown Sarasota. No sign on property.